While today, female suspense and thriller writers might rule the bestseller lists, the pioneers of the genre, those writing in the ’40s and ’50s, remain largely unknown and unsung. 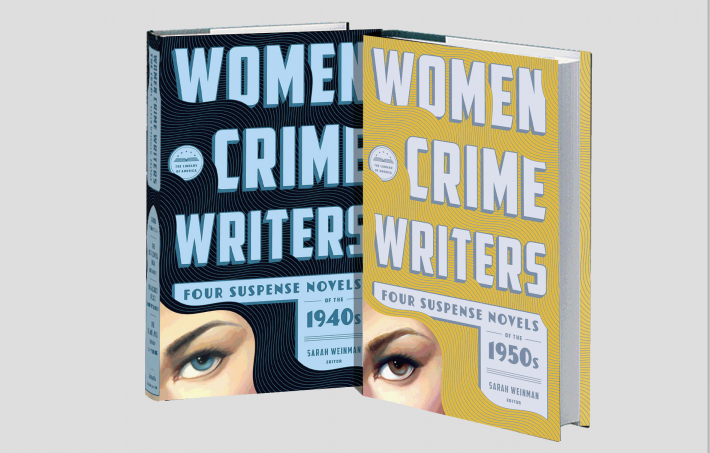 The Library of America has published a new anthology, Women Crime Writers: Eight Suspense of the Novels of the 1940s and ‘50s,” that brings together works by writers you might not be familiar with, but whose work will leave you wanting more. At Salon, Scott Timberg spoke with the anthology’s editor, Sarah Weinman, an expert on the genre and the editor of 2013’s Troubled Daughters, Twisted Wives: Stories From the Trailblazers of Domestic Suspense on crime writers, neglected authors, and much more. “Some of it had to do with which books best reflected the culture at the time. So, in the ‘40s, as I already mentioned, there was this first wartime quality and the changing attitudes toward women. I think you really see that in Vera Caspary’s ‘Laura,’ which was published in 1943. “Caspary herself was a fascinating figure. In her memoir she published, a few years before she died, she really talks about how she lived through some incredible changes in the 20th century, but she also would’ve totally signed up for the current reiteration of the feminist movement. She really was a feminist, and I think that comes through particularly in ‘Laura,’ in a character like Laura Hunt who is working, who is unapologetic in what she did and how she did. And that made her a very dangerous figure in the eyes of the men, either who didn’t know her and especially for those who did or claimed that they did. So, you really see that reflecting how things were changing during the war. “And after the war, you get Hughes and Holding that I talked about. But, you also get, in ‘The Horizontal Man,’ a sense of what things were like on college campuses and a sort of verified Ivy League manner. But people were getting education who might have not gotten educations in the past and there are some really interesting women characters in that book as well. You really see that arc. Part of what’s surprising about these stories is that a lot of them — and you mentioned the Highsmith book — have male narrators, have male detectives, male main characters. If we didn’t know that these were by women, would it be clear that these novels were women’s fiction? “I mean, I don’t know how the term ‘women’s fiction’ especially applies to this group, only because, I’m of multiple minds on this. On the one hand, many of these writers, they would make their living selling stories to women’s magazines, which were incredibly important to the development of domestic suspense and related crime fiction of the ‘40s and ‘50s. But so was Ellery Queen’s Mystery Magazine. When I edited ‘Troubled Daughters, Twisted Wives,’ a short story anthology, a couple years ago for Penguin, most of my material was drawn from [there], but some of it was drawn from the Saturday Evening Post or Cosmopolitan or Collier’s or the American Magazine.